Read the latest news from Ravensdale, an award-winning equestrian center on the picturesque Cooley Peninsula, a hidden gem in Northeastern Ireland that offers the special Ireland Training, Trails & Medieval Village Ride, an equestrian vacation exclusive to EquitrekkingTravel.com and featured in the Emmy winning Equitrekking TV series. Host Darley Newman treks with Irish horseman Niall Connolly, Ravensdale's owner, in Equitrekking Coastal Ireland. January is a month to brush off the cobwebs and start planning for the year ahead. This year, more than ever this rings true. The past six weeks have been very difficult for everyone whether for work or for pleasure due to the unprecedented snow falls and the big freeze both before and after Christmas. Hopefully, it is all behind us now and we can look forward to getting back into the swing of things and getting out to compete again. Ravensdale Lodge has a packed schedule for everyone hoping to get out and about in the next couple of weeks and at the moment they are putting the finishing touches to some development work before the season kicks in. The indoor arena at the centre has had new floodlights installed and the jumping surface has also had a makeover in advance of competition at the end of the month. The season starts on Thursday, January 27th with seven weeks of horse training shows to Thursday, March 10th. These shows commence at 11am and there are classes from 80cm to 1.20m. These shows are in preparation for the “Chippison” Spring Tour weekend, due to be held at the equestrian centre in February on Saturday 26th and 27th. A week before this curtain raiser for the horses, the ponies take their turn at Ravensdale Lodge on Saturday February 19th when the Pony Spring Tour takes centre stage at the venue. 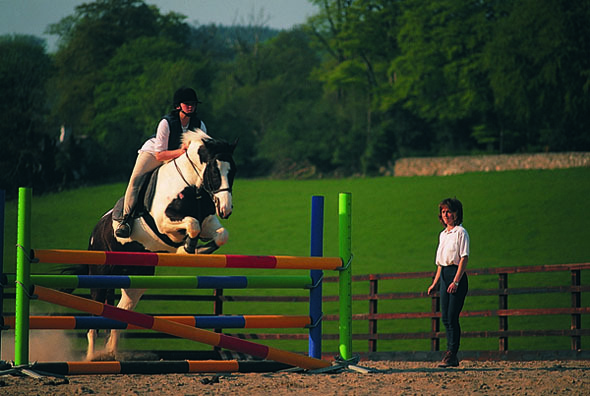 The most popular run of shows at the centre are always the Friday evening horse and pony training shows when the course that has been professionally built the previous day is open to all to jump. 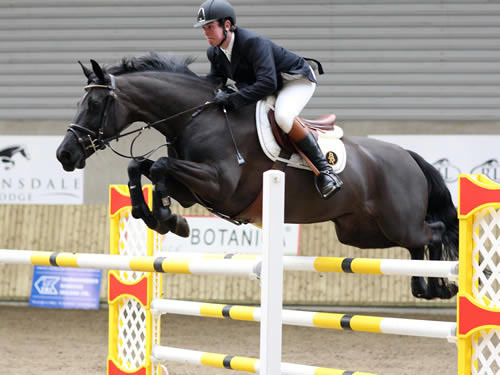 This year the opening show of the spring horse and pony training league will double up as the final of the winter league which was due to be held at the centre in early December but which had to be postponed on a number of occasions due to the weather. Now with an extra date this league will commence on Friday January 28th at 6pm and local business Horseware has stepped in as sponsors of the league with super weekly prizes on offer as well as the grand final being sponsored by the Dundalk firm. This league runs from Friday, January 28th to Friday, April 22nd and there will be classes for everyone from 60cm to 1.20m. Following on from the horse training shows there is a six-week registered horse league scheduled to commence on Thursday, March 24th and this runs to Thursday, April 28th with classes from 80cm to 1.30m and a start time of 11am. Anyone interested in other disciplines need not worry as there are both dressage and arena eventing leagues planned for February, March and April at the centre. Commenting on the forthcoming shows schedule for Ravensdale Lodge, centre owner Niall Connolly said, “We are looking forward to our show season more than ever this year... We are very excited with the level and type of competition that we have attracted for the year, with a Pony and Chippison Spring Tour lined up for February, a National Grand Prix in May, RDS Amateur qualifier in June and Eventing Ireland in July, among some of the events we will run along with our regular leagues and shows. We are also planning some new ventures later in the year with an arena eventing league in the spring and a future event horse league (FEHL) sometime in July. All in all we are looking forward to trying out some new ideas, seeing some old (and new) faces and to the start of the competition season on January 27th”. Seven-week horse training, Thursday January 27th to Thursday, March 10th. Classes 80cm to 1.30m. Start time 11am. Horse and pony training league, Friday, January 28th to Friday, April 22nd (final). Classes 60cm to 1.20m. Start time 6pm. Super weekly prizes and grand final kindly sponsored by Horseware Ireland. Six- week registered horse league, Thursday, March, 24th to Thursday, April 28th. Classes 80cm (m) to 1.30m (m). Start time 11am. 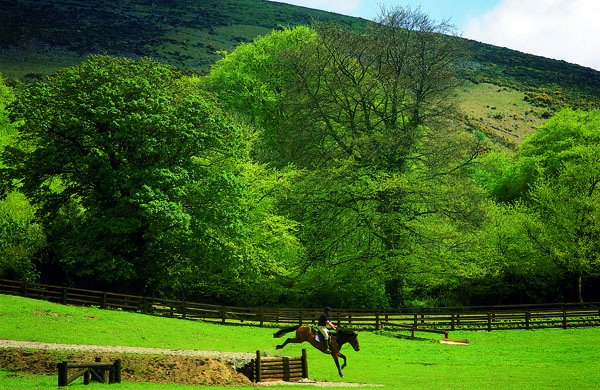 Learn about how you can visit Ireland and train at this world-class riding centre, be a spectator at Ravensdale's equestrian competitions and participate in the Ireland Training, Trails & Medieval Village Ride. Combining this vacation with a few days at nearby Castle Leslie makes for dream riding! Travel to Ireland during the 2011 Dublin Horse Show - August 3 - 7. Contact Julie for more information.